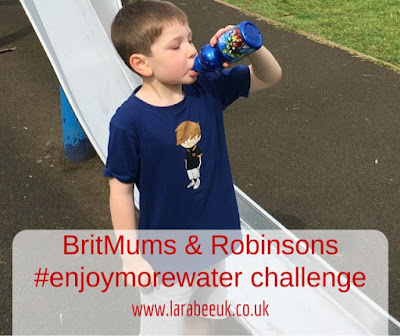 We were recently challenged by Britmum's to take their #enjoymorewater challenge sponsored by Robinsons. 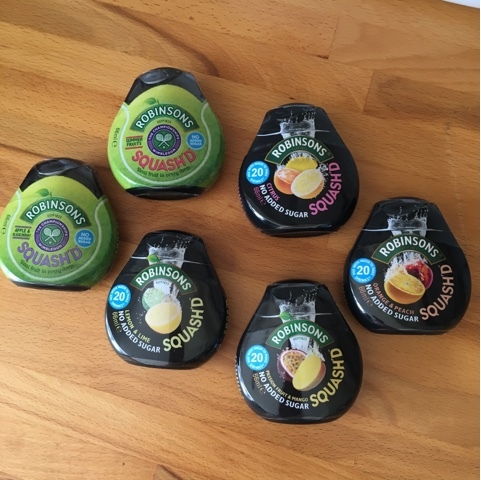 We were sent a pack of Robinsons Squash'd juices to help us on our way. Here are my best tips for getting your little ones to drink their water every day. 1. 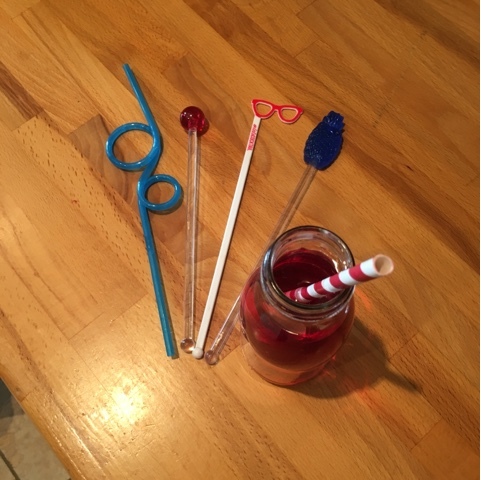 Add fun straws and stirrers to make drinks more appealing. 2. Serve in unusual bottles and cups to make the water seem more exciting. 3. Use cocktail umbrellas, fancy ice cubes and unusual cocktail sticks to make children feel more grown up. 1. 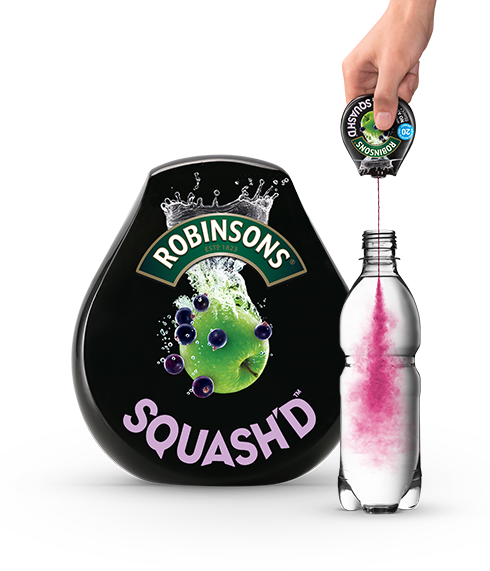 Keep a bottle of made up squash in the fridge at child height so they can learn to help themselves. 2. Serve a jug of water or juice on the dinner table and encourage small children to pour everyone a drink with meals. 3. 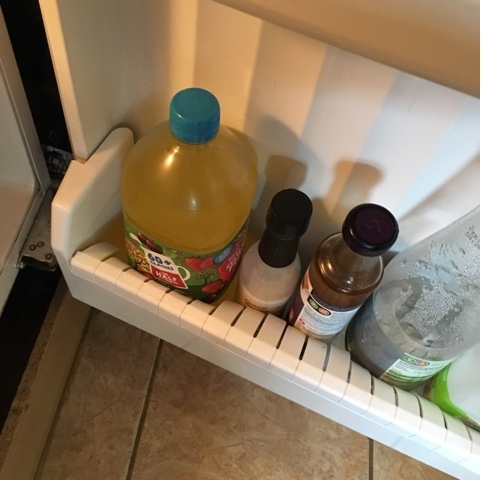 Use fancy drinks dispensers on hot days so children can pour themselves a drink when they need one. 1. Freeze fruit in ice cube trays to add a little flavour to drinks. 2. Add Robinson's Squash'd for a refreshing, thirst quenching drink. 3. Place a little fruit in a glass before filling with water. We've been using our Robinson's sticker chart to record how much water we are managing to drink. 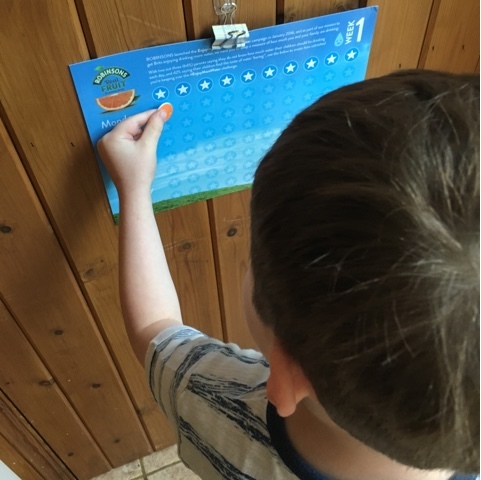 T has lived doing this and his water/squash consumption has definitely increased since we started rewarding him with a sticker every time he had a drink.